Israeli Secret Service (ISS) agent who was in charge of one of ISS’s most sensitive operations – handling The Green Prince – ISS’s most valuable recruit. Son of a prominent Israeli General, served in the Israeli Navy for three years. Following his military service, he received B.A. degrees in Psychology and Management at Ben Gurion University, Beer Sheva, Israel. After the assassination of Prime Minister Yitzah Rabin in 1992, Ben-Itzhak joined the Israeli Secret Service (ISS) known as “Shin Bet” and served in Ramallah, West Bank, as a handler and district manager during the second Intifadah. The Green Prince, whose identity was not revealed for over ten years until 2010, is Mosab Hassan Yousef, the eldest son of Sheik Hassan Yousef. Sheik Yousef was the founder of Hamas in the West Bank and founder of the organization’s political wing. He remains, to this day, a key figure and leader of Hamas. In 2014, acclaimed documentary film, The Green Prince, featuring Mosab Hassan Yousef and Gonen Ben-Itzhak, premiered at the Sundance Film Festival where it received the Audience Award for best documentary. The film received other awards at the Moscow International Film Festival and at the Israeli Film Festival, and made its United States theater debut this Fall. 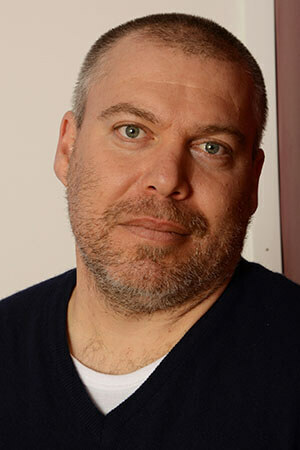 Gonen Ben-Itzhak specialized in counter terrorism within fundamental Muslim factions until 2006, when he left the Shin Bet and started his Law and Business Management degree in IDC Hertzeliya.. graduated in 2012, with his Master’s degree in Law at Tel Aviv University. In his fascinating lecture, Gonen Ben-Yitzhak depicts one of the most unusual and moving stories in our daily reality here in the burning Middle East: Mosab Hassan Yousef, the son of one of the most prominent Hamas activists in the West Bank, was an active recruit of the ISA for 10 years, he revealed the secrets of Hamas to Israel. He was nicknamed “The Green Prince” – a prince for being a member of a Hamas “nobility”, green- the color of Islam. Gonen Ben-Yitzhak was the Green Prince’s handler. This is an unbelievable story about friendship between the two and about trust and betrayal in the shadow world of intelligence, which combines all kinds of drama: personal, family and national.